As Roderick Schram announced the winning contestant of the 2015 Festival Queen’s title, Ashley Price’s jaw dropped, literally. 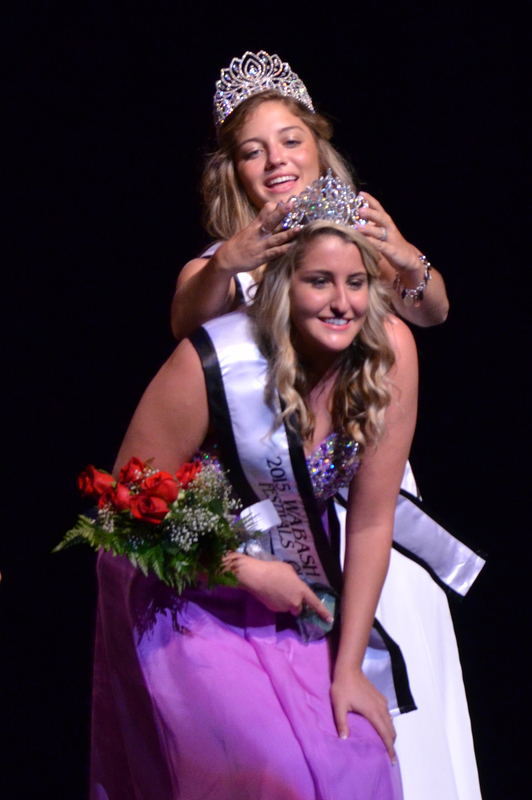 On Friday June 26, Price was crowned as the 25th Wabash County Festivals Queen to her surprise. Price, a 2013 Wabash High School graduate, told The Paper of Wabash County she didn’t think she was going to win. 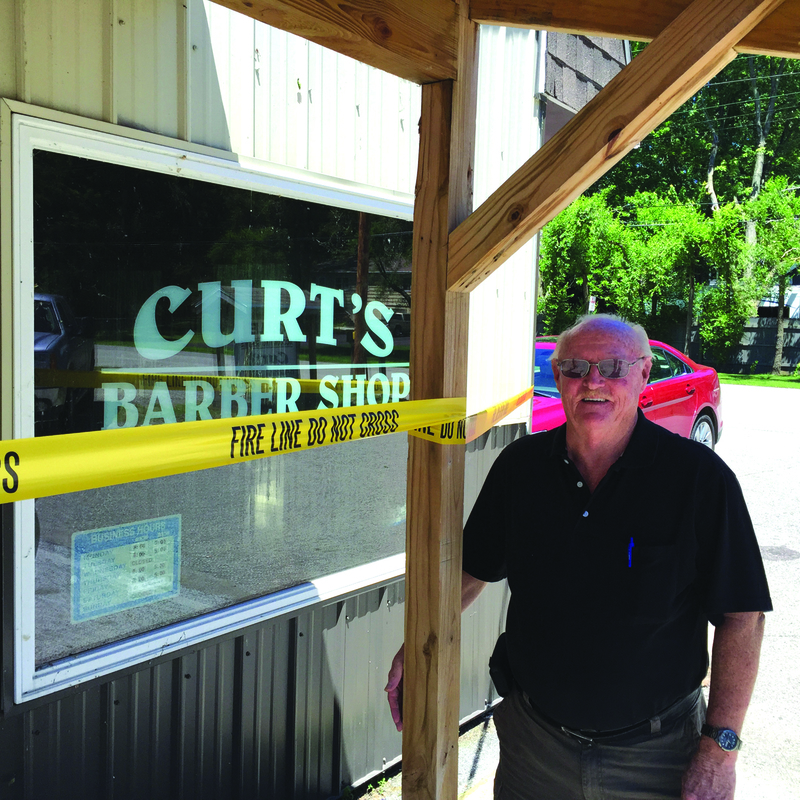 A Wabash man is facing charges for the June 18 fire at Curt’s Barber Shop, 1593 Stitt St., and burglary at the at the barbershop and adjoining Alcoholic’s Anonymous building. Fire Chief Bob Mullett told The Paper of Wabash on Thursday that an investigation by the Wabash Fire Department and the Indiana State Fire Marshal determined the fire to be arson. In an unusual, but apparently legal, move last week, the Wabash City Council approved a special appropriation of $1.2 million. What made the move unusual was it took two votes by the Council to pass the measure. On the first vote, Council members Doug Konkle, Margaret “Boo” Salb and Bryan Dillon voted for the measure, while Scott Long and Bonnie Corn voted against it. council member Joan Haag was absent, and the seventh seat is vacant, as a replacement for the late Jim Wenrich was not yet named. While the measure appeared to pass by a 3-2 vote, City Attorney Doug Lehman, before the meeting adjourned, noted that the measure had not passed, as a majority of the council, or four of the seven members, had to vote in favor of it. Last week’s edition of The Paper of Wabash County contained the first story in a two-part series describing the upcoming closure of the North Manchester Women, Infants, and Children (WIC) Program office. WIC serves to safeguard the health of low-income pregnant, postpartum, and breastfeeding women, infants, and children up to age 5, who are at nutritional risk, by providing nutritious supplemental foods and health care referrals, as well as information on healthy eating, including breastfeeding promotion and support, at no charge to participants. 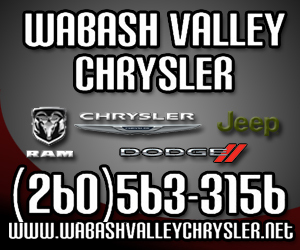 The Wabash City Schools budget will be down considerably in 2016, Business Manager Matt Stone informed the Wabash City Council last week. Under a new funding formula developed by the Indiana Legislature, Wabash’s General Fund is down $600,000, he said, going from $10.9 million last year to between $10.2 and 10.3 million. Over the years, the horse statues outside Schutz Brothers, located on the northwest corner at the intersection of SR 13 and East Street, have become like landmarks for anyone coming into or heading out of town on the highway. But one of those statues went missing over a week ago, and while there is now an obvious physical void, for some there is an emotional void as well. The North Manchester Police Department contacted Mitch Schutz, president of Schutz Brothers, around 1 a.m. on Sunday, June 14th, and informed him that someone had reported witnessing individuals loading the statue into the back of a pickup truck. According to Schutz, the life-size statue that was taken is newer and lighter than the statue out front. While the Wabash County YMCA tested the waters with a new initiative to promote saving for post-secondary education in the fall of 2013, Philip Maurizi was working firsthand on the retention of low income, first generation and high-risk students at the University of Saint Francis. The problems these students face, Maurizi said, most often stem from beliefs developed through childhood that education just isn’t for people from their station in life, not from any intentional drive for failure. When he began talking to Wabash County YMCA CEO Clint Kugler about research being looked at in relation to the Promise, Maurizi said he got excited about the prospect of reaching children at a young age instead of waiting until they’re about to graduate high school or already facing challenges in college. MU graduate on trip across U.S.
Manchester University graduate Nick Barbknecht is on the opening days of a month-long trek that will take him to all 48 of the continental United States. Barbknecht left Indianapolis on Saturday morning, June 27, bound for a night’s stay in St. Louis. Along the way, though, were stops in French Lick, as well as at Abraham Lincoln’s home in Springfield, Ill., and at the Gateway Arch in St. Louis. Sunday saw him traveling through Kansas and Iowa, while Monday he was in Wisconsin and Minnesota, again visiting various attractions along the way. 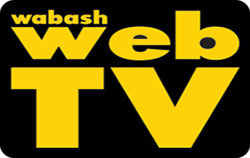 The idea for the trip, Barbknecht told The Paper of Wabash County in a telephone interview, came from a piece he saw on a Washington Post blog.